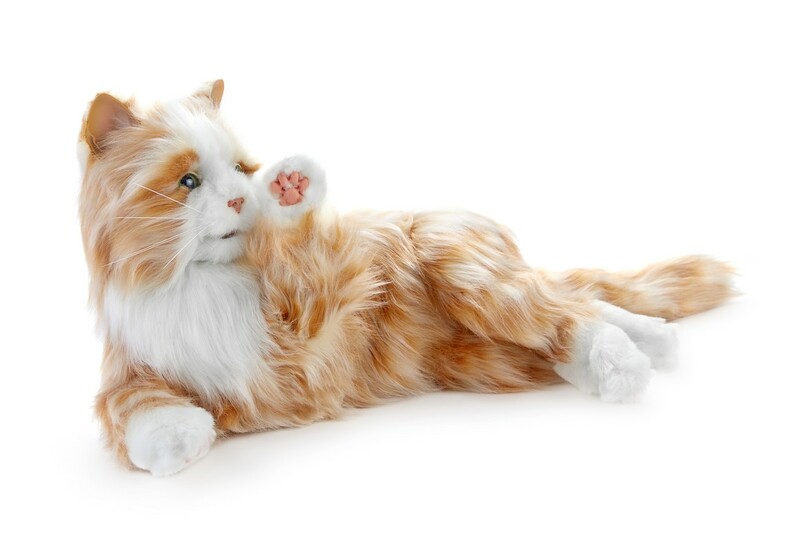 The Interactive Companion Cat looks, feels and sounds like an actual domestic cat. With built-in sensor technology it responds to patting, motion and sound like a real pet cat does. It will relax and sleep, meow and purr responsively, rollover for a tummy rub and even lick its paws! This two-way interaction helps create a personally rich experience that can bring fun, joy and friendship to you and your loved ones.